Kratos is the main protagonist of the God of War games and probably the most popular video game character that debuted on the Playstation 2. Many of us killed hundreds..if not thousands of mythological creatures ranging from Hydra’s to Minotaurs and even a number of the Gods up to Zeus himself in the first God of War Trilogy and the three other games that showed us other parts of his big revenge tour through ancient Greece. 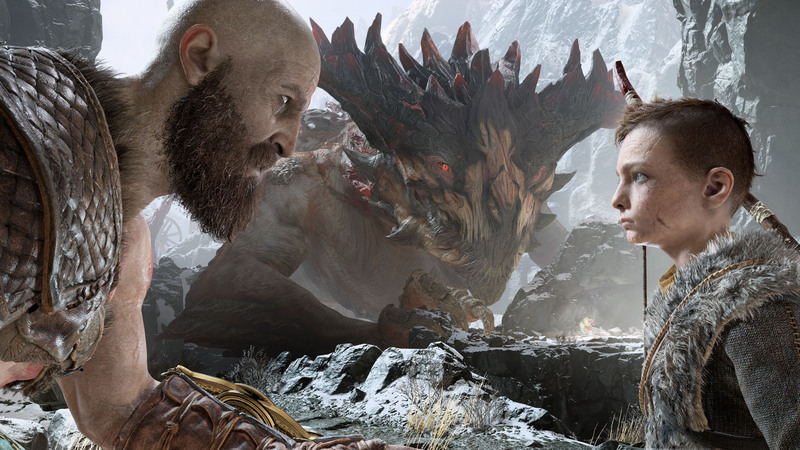 The latest God of War game surprised us with the completely different setting of the Nordic Mythology and some really interesting plot details and twists that are setting the stage for more adventures of the aged God of War. 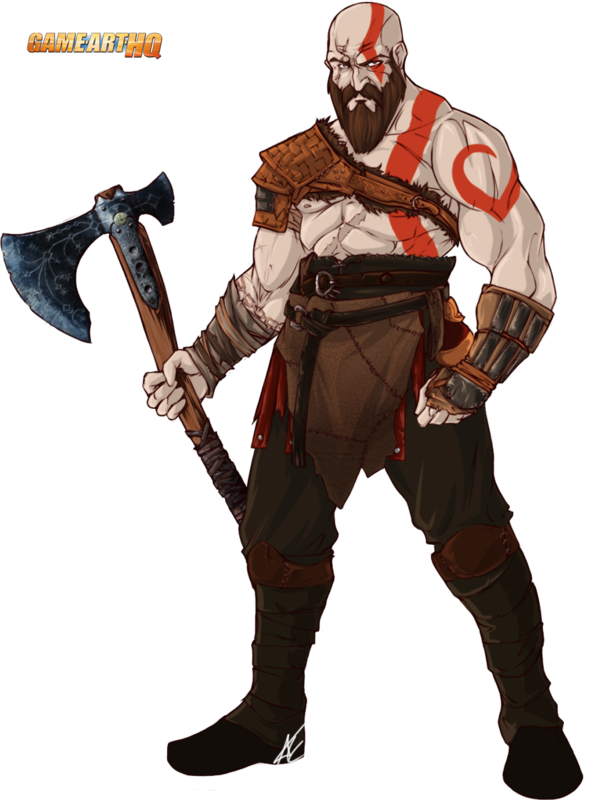 In God of War 4, we see new sides and shades of Kratos who was mainly an always angry character, similar to the “Doom Slayer” . The player doesn’t had to fear the creatures of Hades and the Olymp…they had to fear Kratos. In GoW 4, Kratos is still the badass fighter who defeats everything that crosses his path but he also has a son now, Atreus and tries to protect him with his own life. There is a lot more about Atreus and I doubt that Kratos will always protect him in the future. Scribbletati is like myself from Germany and also likes fighting games and their characters but unlike me she is really great at drawing and illustrating Video Games. She joined the FGE & Game-Art-HQ communities back in 2012 already, short after both were founded on deviantART actually. Her first piece created for one of our activities was a really special take on a very young Kazuya Mishima from Tekken for a weekly art contest on FGE about younger versions of fighting game characters. Later she joined our Tekken Art Tribute with an amazing take of Bruce Irvin. Tati was also somehow able to create a great illustration of Johnny Cage in his design from Mortal Kombat 4 for our big MK Tribute that covered all games of the series up to MK9. In 2014, she joined our PS One 20th Anniversary Tribute with two amazing takes on the classic Resident Evil. Kratos in 2018 was her 2nd contribution for our VG Character Collaboration after Solid Snake from Metal Gear Solid. Beside creating art for GA-HQ Projects you can see a lot more works by Tati in her gallery on deviantART here, check it out, its worth it!